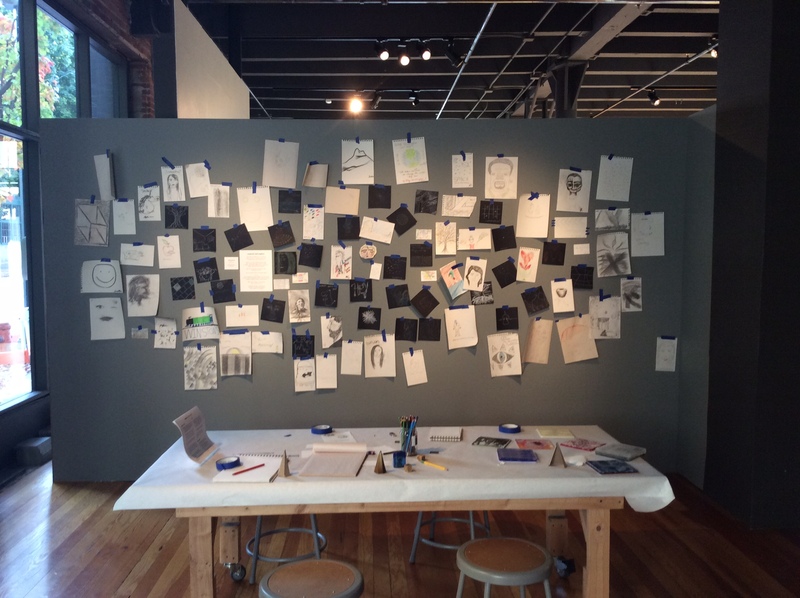 A group exhibition exploring ideation through the experimental art practices of three Northwest artists. 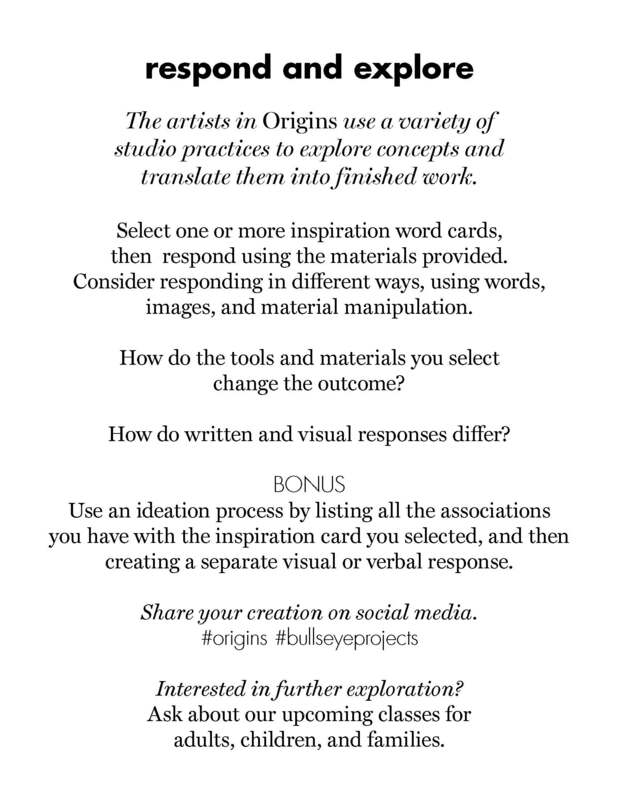 The interactive area was set up as a “studio” space to reference the idea of ideation/process. 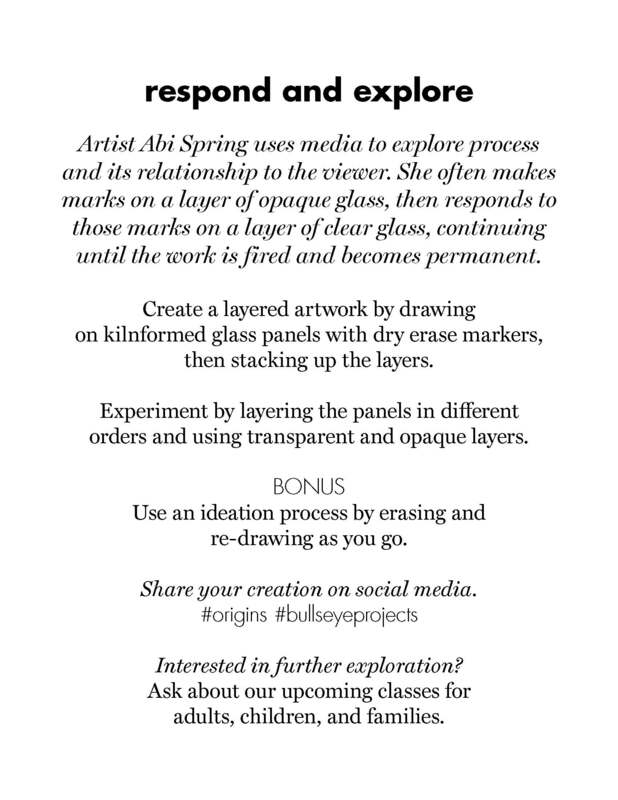 The activities focused on dynamic practice and experimentation. 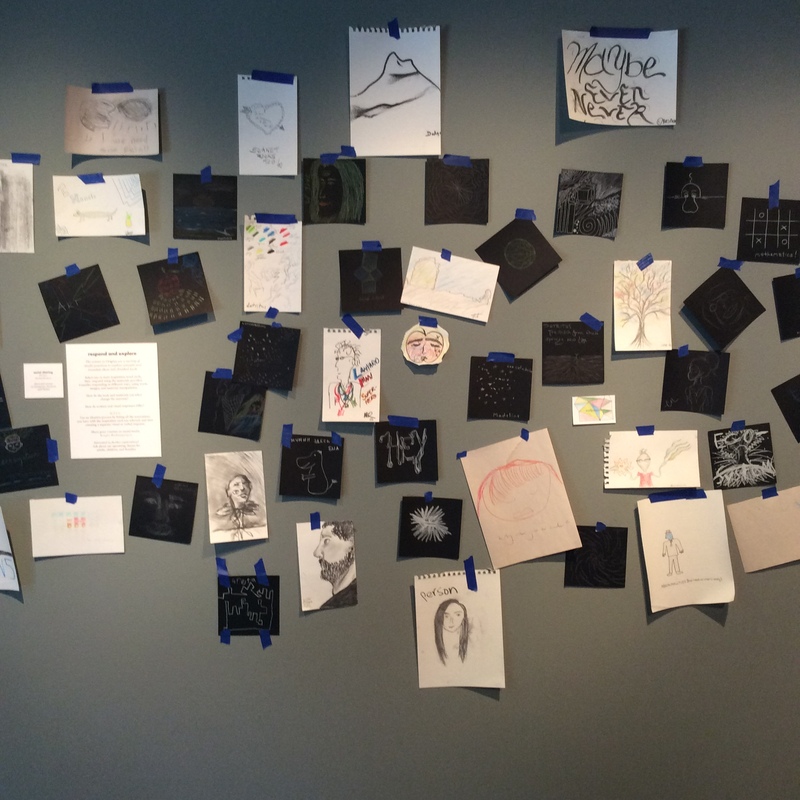 Visitors were asked to select a card with a word from the artist statement and use it as a drawing prompt. 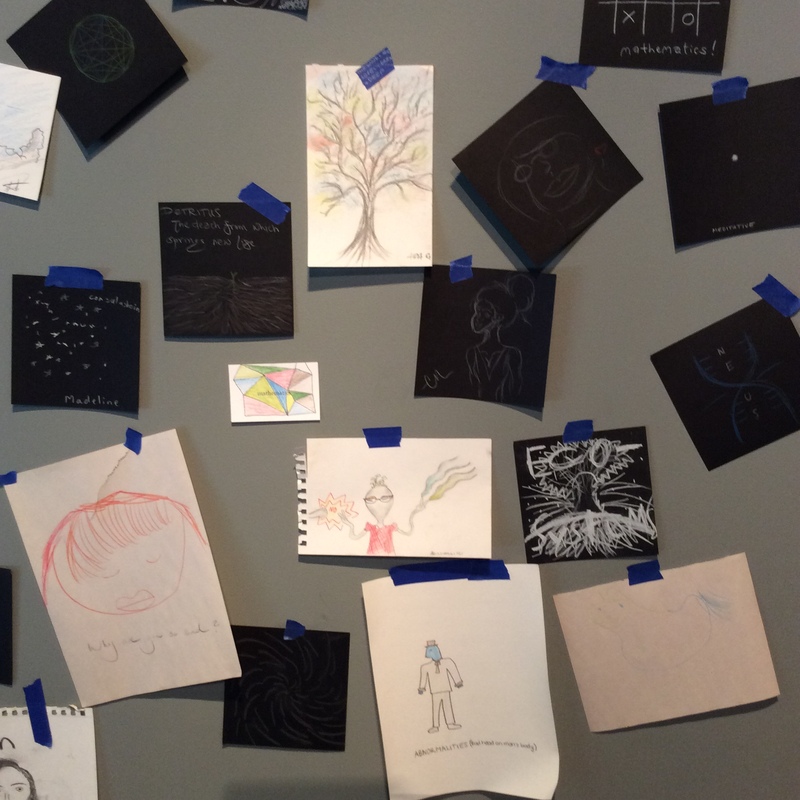 Motion from an artist process video drew visitors to the area. 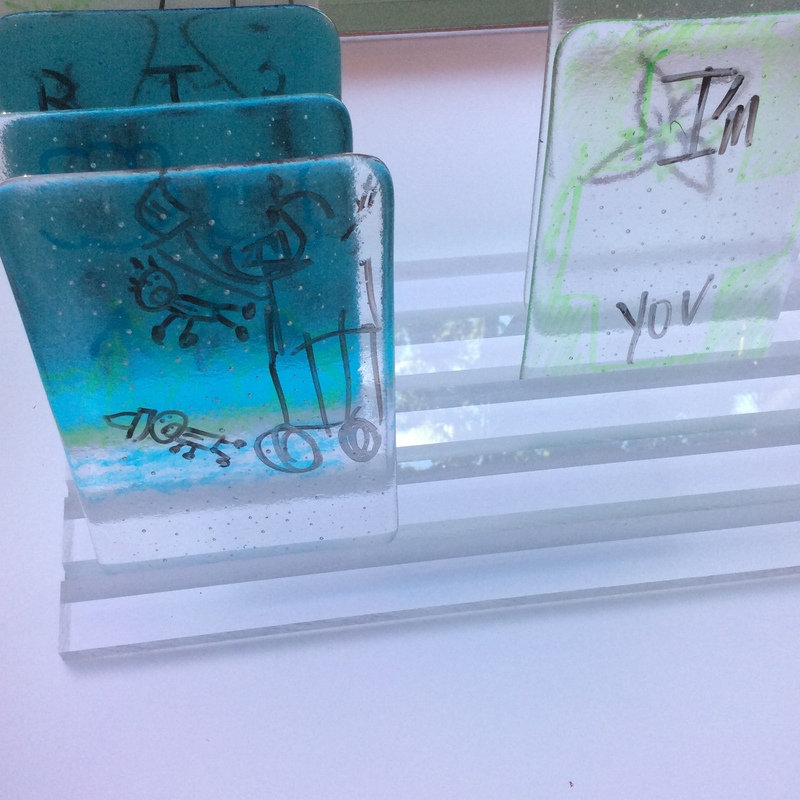 A touching table included artist samples displayed on one large table where visitors did their drawings, allowing visitor to ask specific “how is it made?” questions, and giving an entry point for visitor to dig deeper. 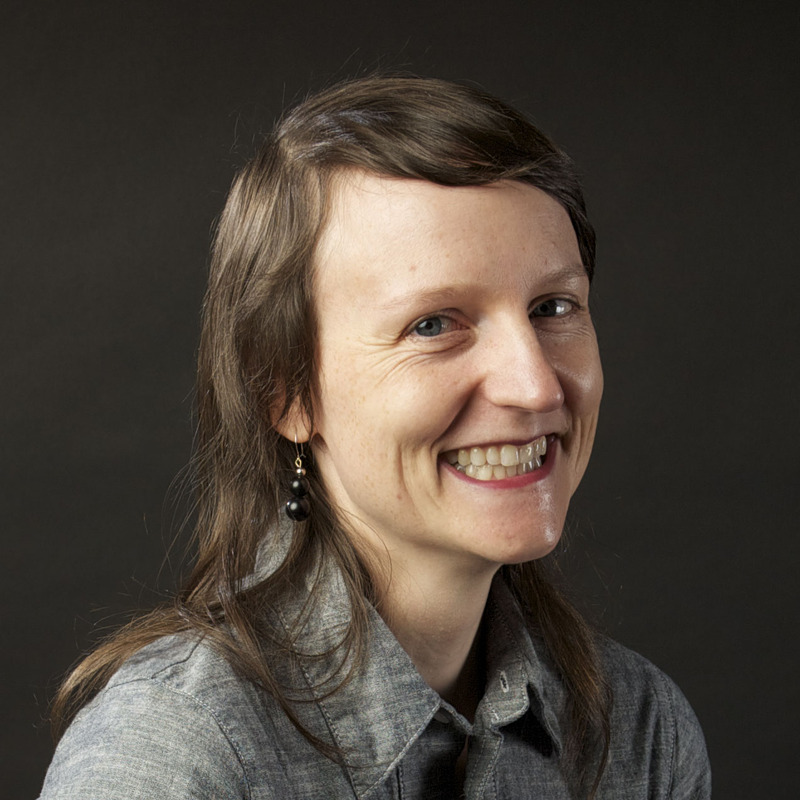 It was especially helpful to have examples from complex processes as talking points. 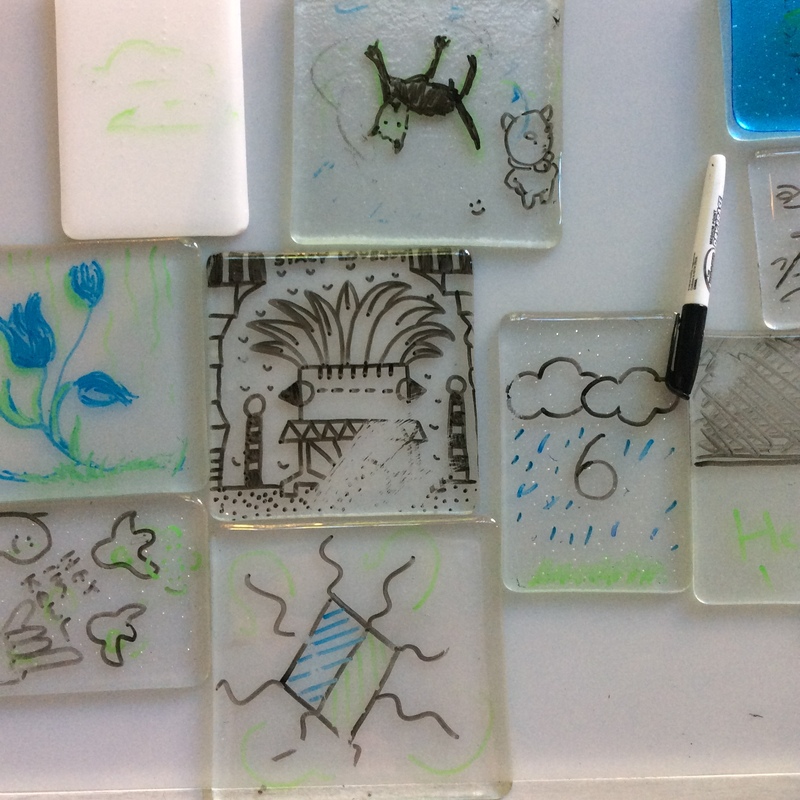 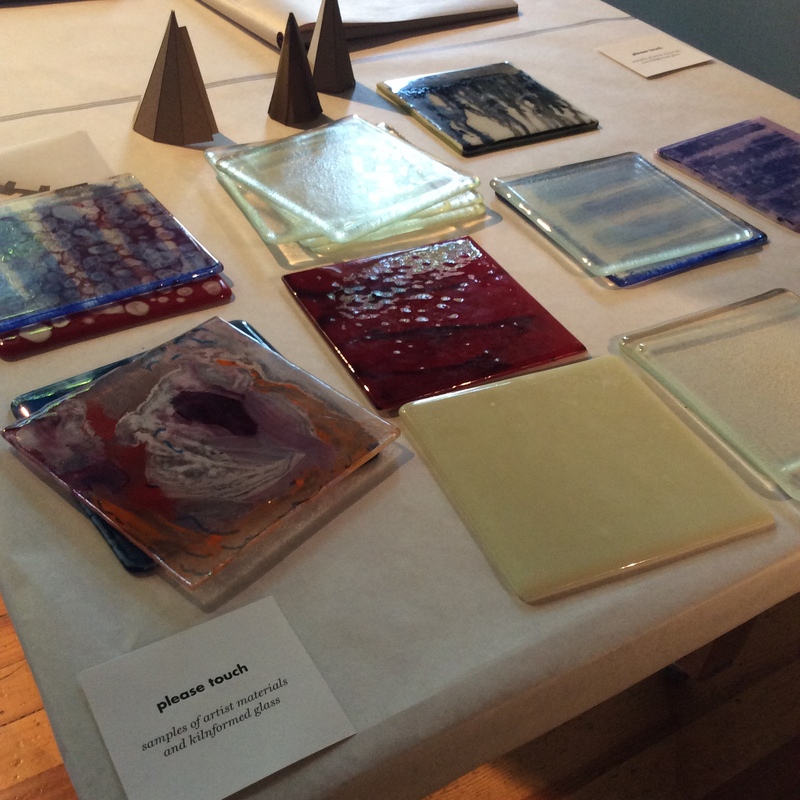 An interactive making activity invited visitors to explore Spring’s method of mark making a layer, then responding in subsequent layers using glass panels and dry erase markers. 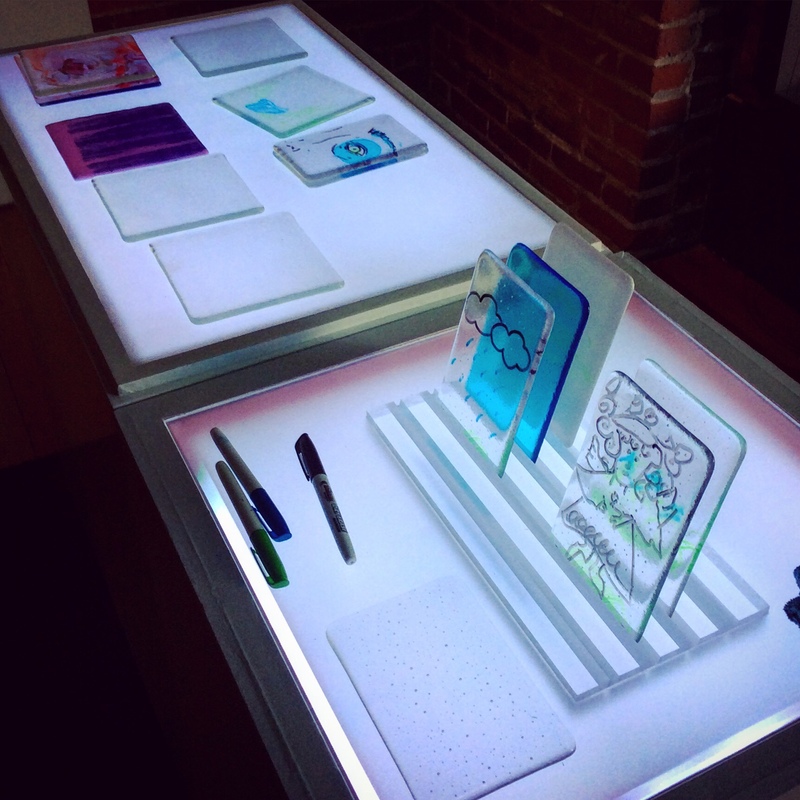 A retrofitted light table with angled slots allowed participants to stand panels up in front of each other and adjust order of panels. 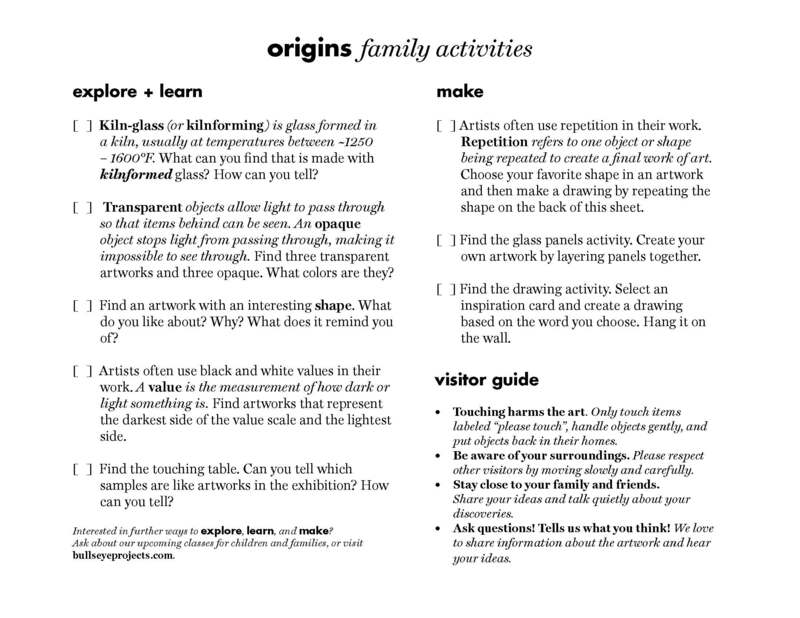 A family activity guide invited visitors of all ages to explore, learn, and make.